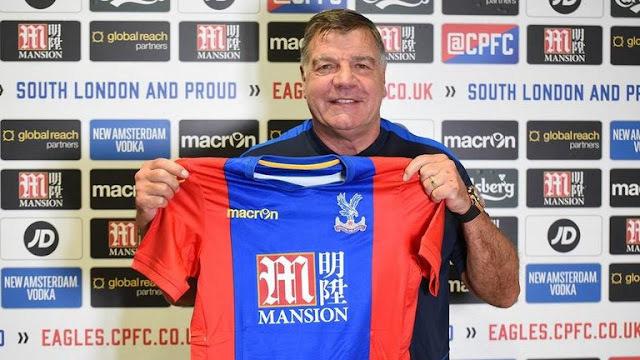 Sam Allardyce was appointed today as Alan Pardew's replacement for two and a half years The now Crystal Palace Boss was sacked from England duty back in September after being reportedly caught by the Media giving information on how to circumvent transfer regulations. Alan Pardew was yesterday dismissed from duty as Crystal Palace Boss and to face Watford in the Boxing day action, a quick replacement was needed, not only to make a win but also to elevate the club from its present predicament. 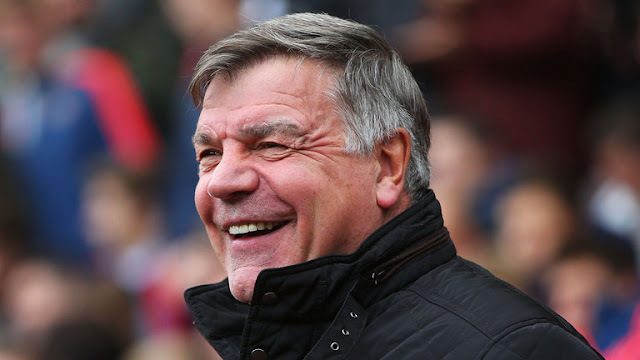 The sixty two year old will take responsibility of saving the Eagles from Relegation as he did at Sunderland last season, Crystal Palace sit just one point from the Relegation Zone having won just for matches in seventeen games under Alan Pardew As Manager. "We are delighted to be able to make an appointment so quickly and fortunate that someone of Sam’s calibre and experience was available,"
"You generally get a new job because there are difficulties at a club,"
"I have to sort those difficulties out, hopefully with my experience, and try to get a few more results on the board, particularly over Christmas and New Year, to make everybody feel more comfortable." "The club itself seems to be very ambitious, certainly the chairman," said Allardyce. "The owners seem to taking the club forward in the right direction. I like the look of the squad. "That's probably the reason that I am here because I feel that the club could go forward from here and, hopefully, I can help it go forward." "But the other side is that when we aren't in possession we have just got to stop conceding goals and make sure the goals that we score win us games. "It sounds simple but it's not that easy - that's what we have got to try to turn around." "The players here are good enough but, if we can add to that, let's try to do it,"